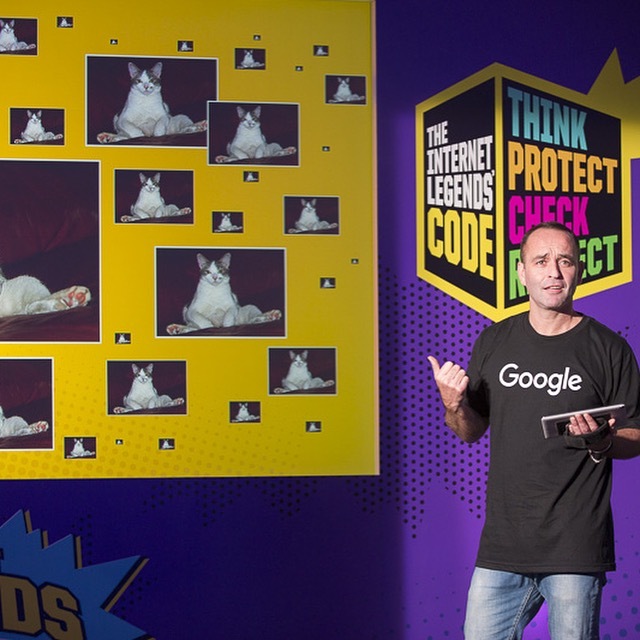 Jez is currently on Google's 'Internet Legends﻿' schools tour. A Parent Zone production giving an all important guide to Primary school pupils on internet safety. ​Jez Edwards' ﻿C.V. is vast and varied, spanning over 16yrs. He’s travelled the world reporting on lifes more colourful characters for BBC’s ‘Record Breakers’, fronted BBC Manchester’s ‘Inside Out’ and reported for ‘Football Focus’ and ‘Holiday’. He started his TV career at CITV where he presented live shows ‘Sticky’ and ‘Mashed’ and was the game show host on the mind twitching ‘Crazy Cottage’. Having made the move over to the BBC he presented over 200 ‘Xchange’ live magazine shows. Most memorable of which were the electrical storm that blew up whilst he covered the Commonwealth Games and doing a cookery item with girl group ‘Las Ketchup’ when the three sisters didn’t speak any English. He also spent 2 years presenting FIVE’s entertainment show ‘Exclusive’ and also for FIVE he narrated ‘The Spiderman Story’. Jez loves football. He has scored a belter playing for Wigan against Spurs on Sky One’s ‘Premier Allstars’ and got a dream gig hosting 'The World Cup Show' for Eurosport in 2006. Last season Jez made his debut hosting ‘Manchester United’s Christmas Challenge’ and at the 'bwin Manchester United Casino' launch. He is now the MC in The Treble and Warwick Suites on match days at Old Trafford (Result!!!). 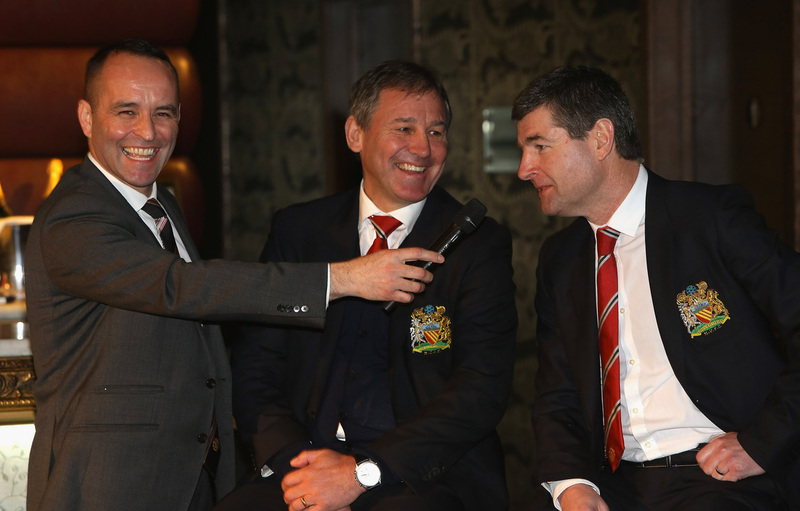 bwin Manchester United Casino Launch with Juan Mata, Phil Jones, Denis Irwin and Bryan Robson. Jez's personable, warm and natural style is a perfect fit for many corporate videos and events. His corporate clients are wide and varied from Crown Computing, Santander, Virgin Media, South East Counter Terrorism Unit, United Utilities and The Co-operative.